Vacation rental condominium. Sleeps 8, 2 bedrooms, 3 bathrooms. No pets allowed. You won't believe the space in this bright cheery two-bedroom condo. 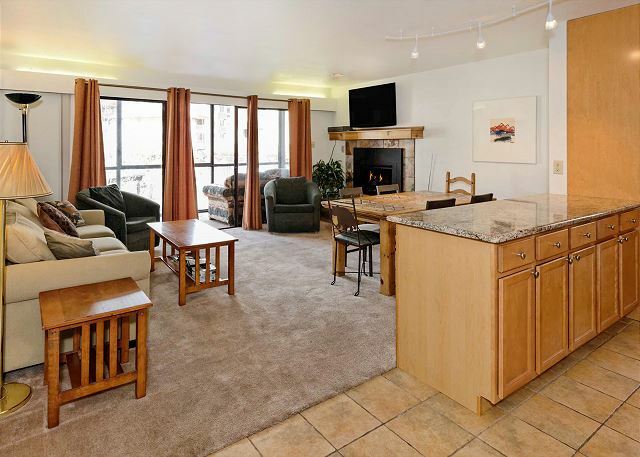 A cozy fireplace and flat screen w/DVD and movies in your home away from home. 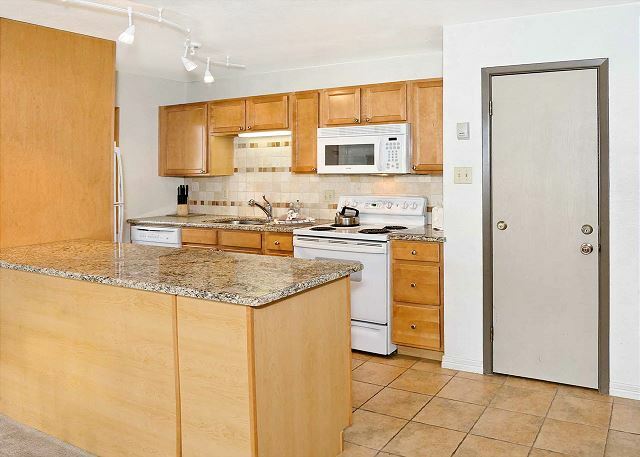 Lots of counter space and room to cook and eat in the bright kitchen/dining area. We provide dishes, cookware, and utensils, coffee maker, crockpot and more! 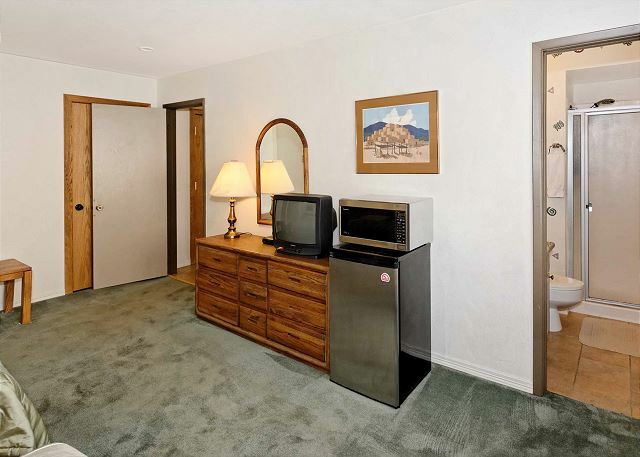 Lots of room in this condo with open floorplan. Couch by day, sofabed at night. There's a bonus third full bathroom in the hallway. No fighting for shower time! 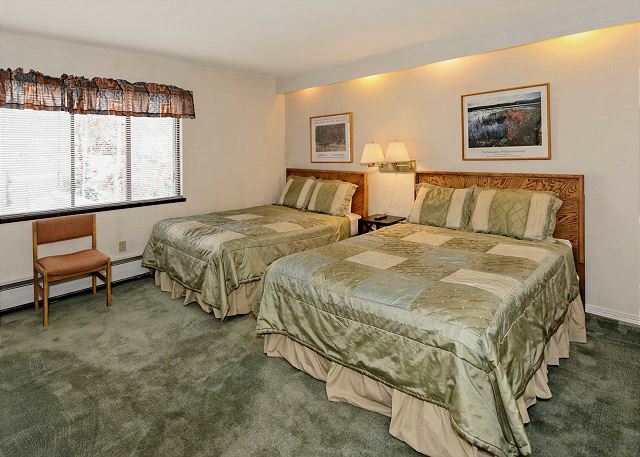 The master bedroom features a comfy king bed and a patio with ski slope views. Lots of space to relax in the master bedroom. The master bathroom includes a tub and shower. Towels and supplies provided. The guest bedroom includes two queen beds, a dresser and closet. The second master BR also has an en-suite bathroom, small fridge and microwave. The guest bathroom has a small shower, and there's also third full bathroom. 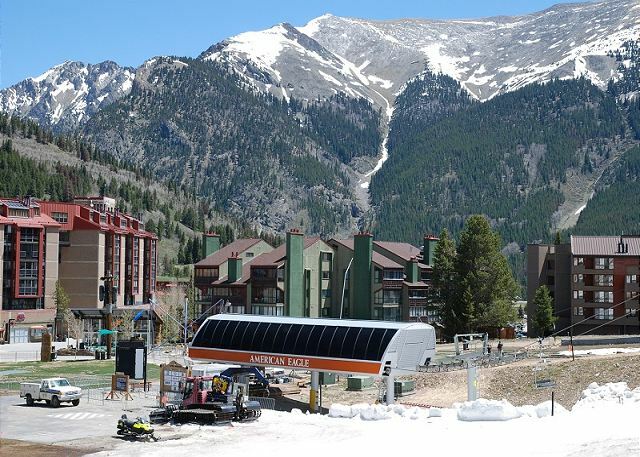 From the balcony, you'll see the Burning Stones Plaza and Amer Eagle ski lift. You'll love the great people-watching from the comfy couch on the balcony. 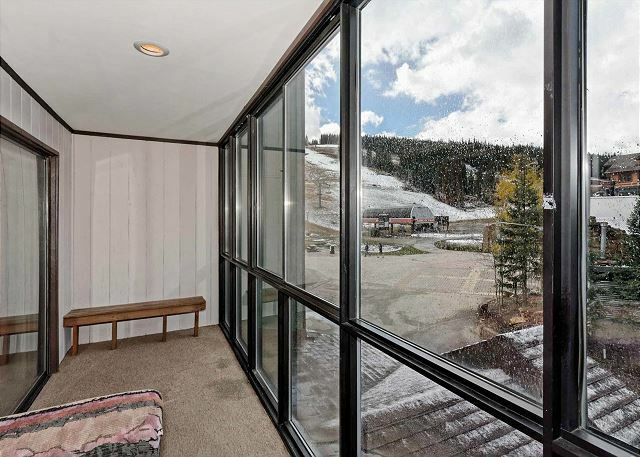 This really IS the zoomed-in view of the ski lift from the living room balcony. You can watch all the summer resort action. 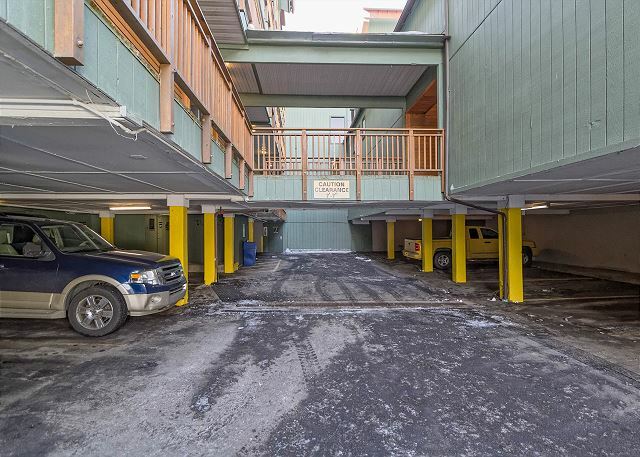 Convenient ski storage just off the patio at the base of the mountain. 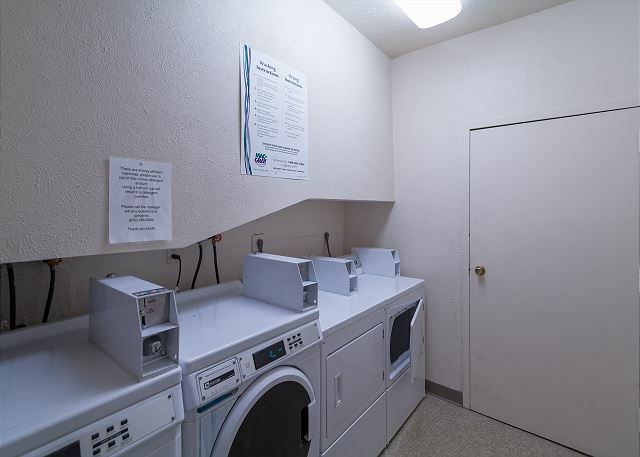 The laundry room is just off the parking area. There are 2 coin-operated washers and dryers. Grand old Copper Junction lodge. 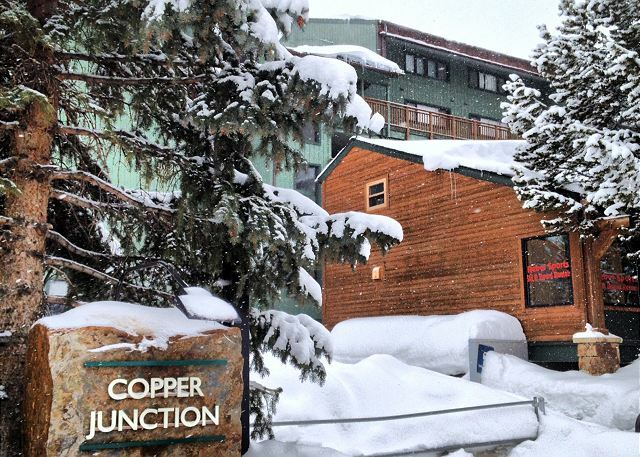 Copper Junction is a classic Colorado ski condo lodge. 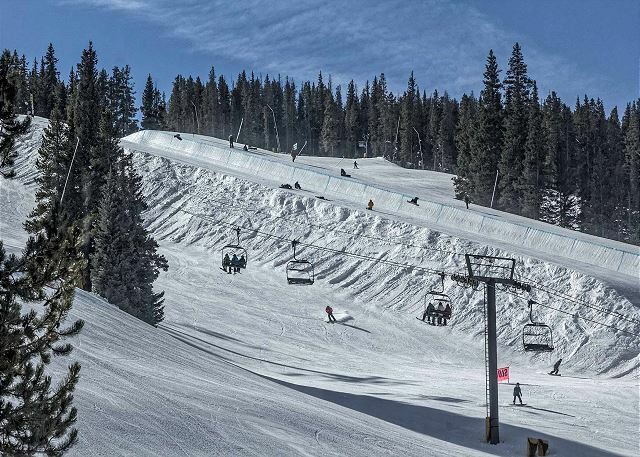 Copper Junction is one of Copper’s most popular ski-in, ski-out lodges, right next to the American Eagle lift in the Center Village. 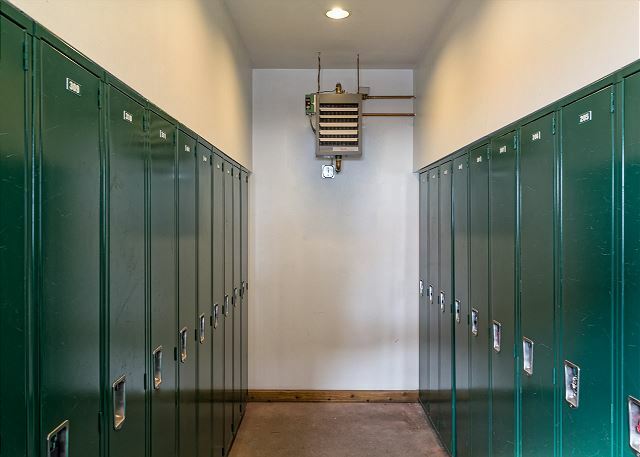 You’ll notice the modern updates in this condo, but it’s an older building so it’s not your luxury lodging choice despite the luxurious view! 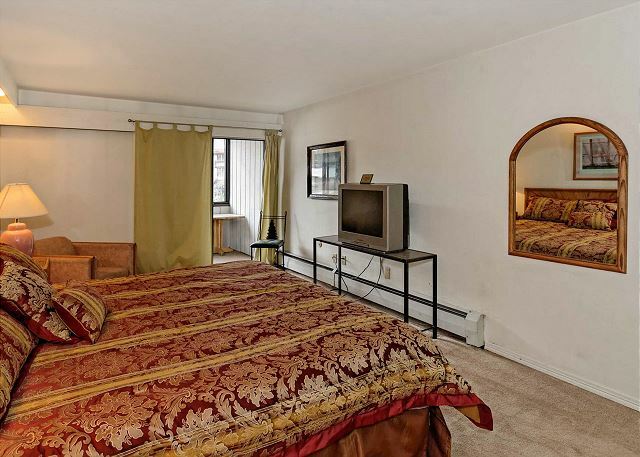 Copper Junction condos are big, which means more beds at lower rates. 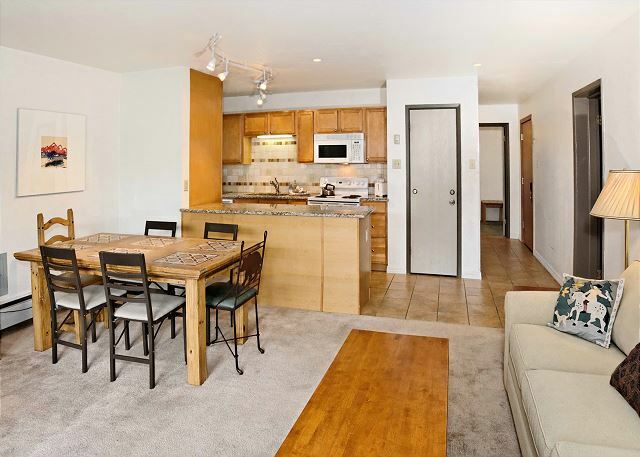 You’ll love this great, roomy condo for eight with newly remodeled kitchen and baths. 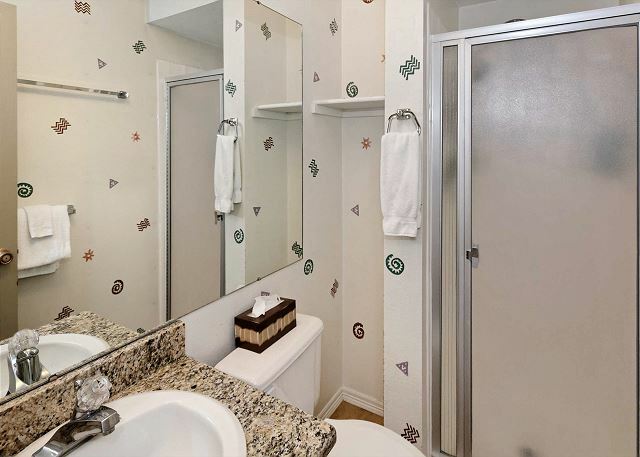 We’ve updated the kitchen and baths with beautiful granite countertops and tile flooring. With the open kitchen and dining area, the cooks can always be part of the living room conversation. 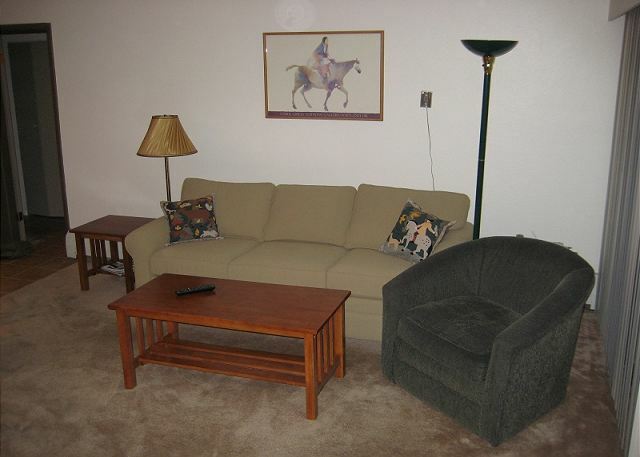 We’ve added a huge flat screen TV with DVD, gas fireplace, and some new furniture. You’re in a great location for every season. 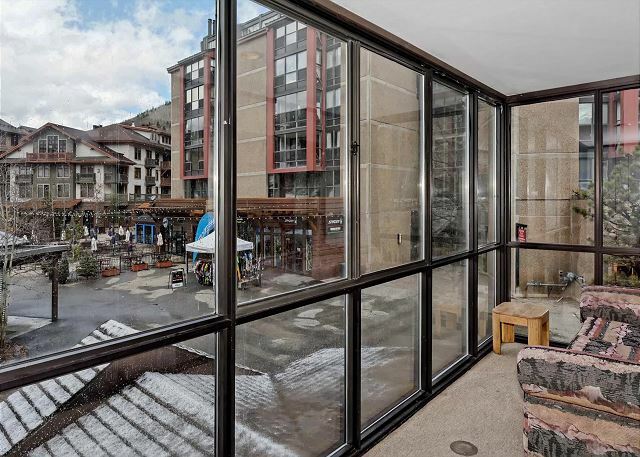 In the winter, you'll love relaxing on one of the two enclosed balconies after a great day on the mountain, and you'll enjoy amazing views of the ski mountain and Copper's Burning Stones Plaza. 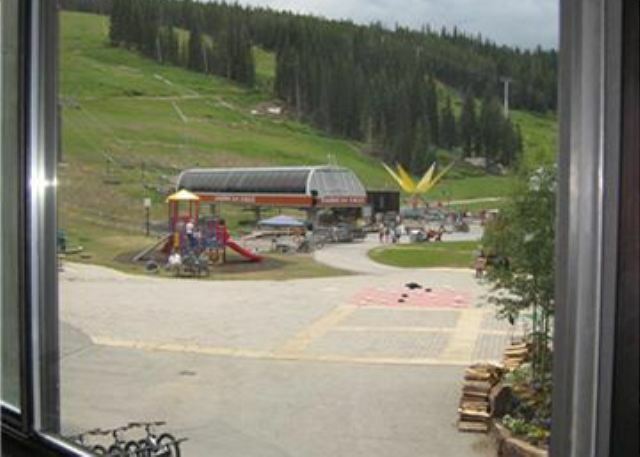 In addition to ski season, you’ll enjoy summer and fall activities such as Sunsation, Copper Country, Yarmony Fest and other impressive live music lineups from the comfort of your balcony. Or, if you like to be in the middle of things, just take the elevator down and walk outside to be part of the action. 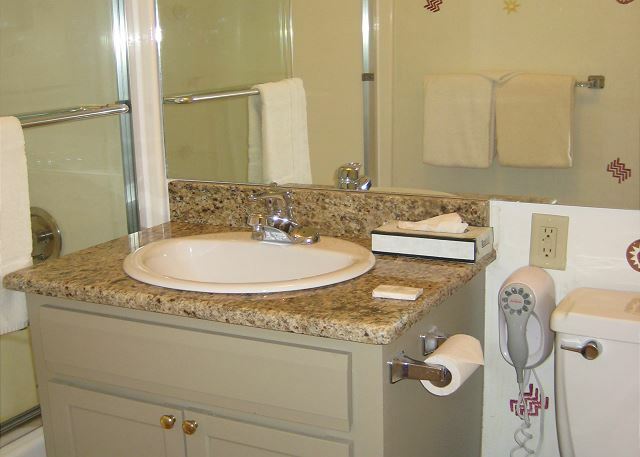 Each of the roomy bedrooms has its own bathroom. 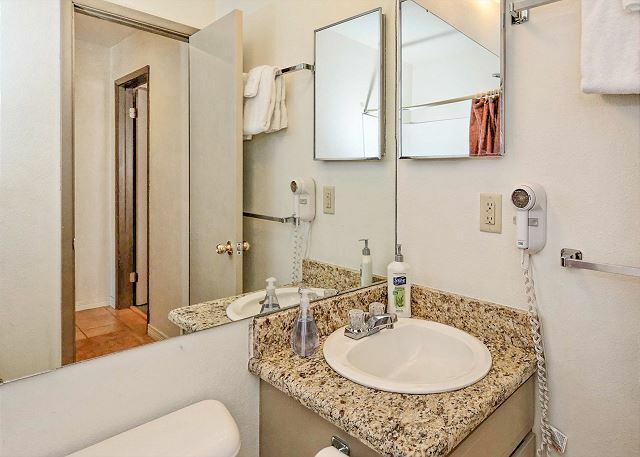 For extra convenience, you have a third full bathroom in the hallway. 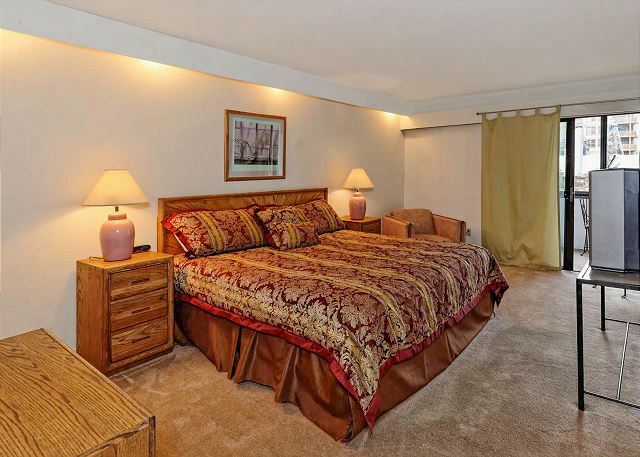 The master bedroom has a king bed and a glass-enclosed balcony. The second roomy bedroom has sleeps four in two comfortable queen beds. A brand new queen sofa bed folds out in the living room, giving this condo room for eight. Each bedroom has a TV, and whoever sleeps on the queen sofa bed gets a beautiful gas fireplace and a flat screen TV with DVD. 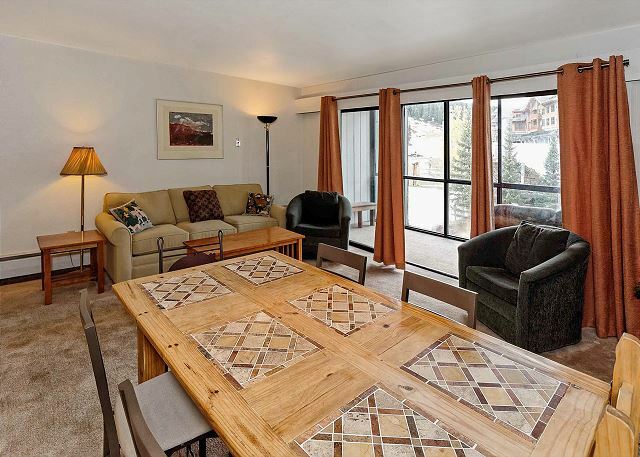 This ski in / ski out condo right by the Eagle lift was perfect for our ski vacation and just the right size for 4 adults. We loved this place! We had 2 families of 4 meet up for a week of skiing. 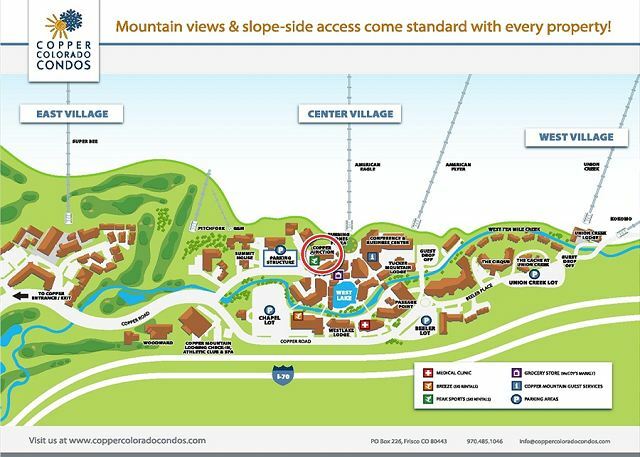 The place had plenty of room for all of us, was ridiculously close to the American Eagle lift, and all other amenities in the Center Village. The kids skied all day and then played on the ice at night. 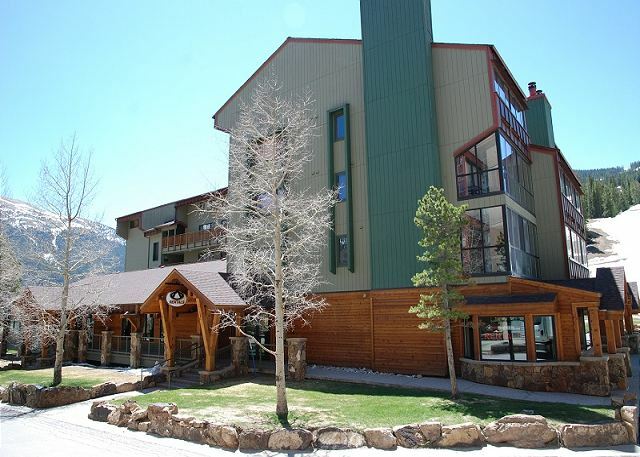 For the 2nd year in a row, spent a week at the Best located condo for 4 (or more) on the whole mountain. 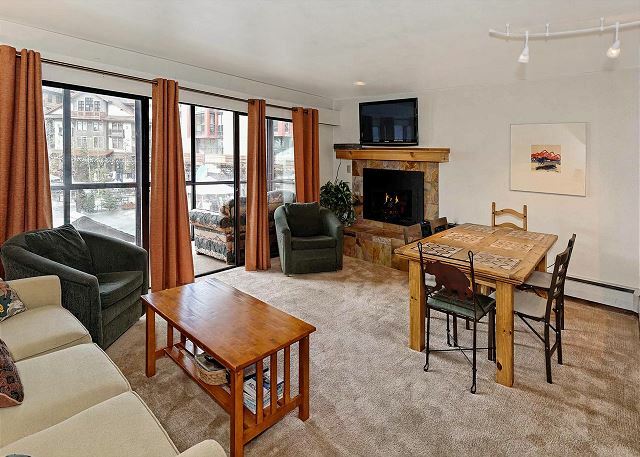 Covered parking, great views, large bedrooms, private ski locker. We were all happy! Kids and old.